Several “start-ups” companies have been initiated at INESC-ID by researchers and ex-students over the past five years. In these cases INESC-ID has converted Intelectual Property Rights (IPR) into start-up equity. It is also an interesting indicator of our industrial/technology impact. VoiceInteraction was founded in 2008 by researchers from the Spoken Language Systems Lab of INESC-ID , following the work developed in TECNOVOZ, a technology transfer project funded by the Portuguese Innovation Agency (AdI). Based on a solid background of R&D, VoiceInteraction offers innovative solutions in the area of speech processing. Their solutions are based on speech recognition, speech synthesis, 3D facial animation, and spoken dialogue systems technologies. The applications cover different areas: subtitling systems for RTP (public national TV broadcaster), media clipping, dictation systems for hospitals, spoken dialogue systems for kiosks in monuments. PETsys, SA was established in 2008 to exploit the results of a research project, started in 2003, on PET (positron emission tomography) systems for mammography. The shareholders are 5 institutions, and 15 individuals that participated in the project, together with a Belgium business angel. PETsys has acquired the rights to use the internationally patented PET scanner technology that allows early cancer detection with higher resolution (1-2 mm against 5-10 mm) and higher sensitivity (x10) than with standard devices. SiliconGate operates in the field of microelectronics and develops and licences high performance Power Management blocks that are key elements in any mobile equipment. Funded in 2008, SiliconGate brought together the experience of senior designers from Industry with the research expertise of an INESC-ID research group. Recently, Wolfson Microelectronics plc, a global leader in high-performance mixed-signal semiconductor solutions for the consumer electronics market, has selected SiliconGate to provide high-performance power management IP in a four year contract. Coreworks, founded in 2001 by two researchers of INESC-ID, is a provider of Semiconductor Intellectual Property (SIP) for multi-standard multimedia and communications applications, such as digital television, internet protocol television (IPTV), portable audio players, mobile Internet devices, and software defined radio. Their products have been implemented in a wide variety of technologies, for more than 30 customers worldwide. The company received an A-series investment round from Espírito Santo Ventures in 2006. NWC Network Concept, Lda was founded in 2008. It had origin in a joint project by Instituto Superior Técnico (IST) and INESC-ID to develop a software multi-services platform, Kelius. Kelius integrates all the services in residential or professional environments, including Internet, video surveillance, television, and telephone. The control is performed through an interface implemented in a computer or in a Personal Digital Assistant (PDA). The new methods and techniques behind this platform are patented. 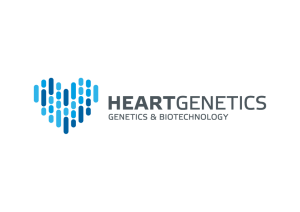 HeartGenetics, Genetics and Biotechnology S.A., is a new company, founded in 2013, specialized in cardiovascular genetics. The company has developed a revolutionary methodology that includes (i) a DNA MICROCHIP array platform optimized for genetic analysis and (ii) efficient and scalable algorithms for data processing. This new methodology is particularly relevant for improving significantly cardiovascular diagnostics. On top of the core competences on the subject of cardiovascular genetic testing, they develop new high-tech bioinformatics technologies that support highly accurate analysis and integration of both genetic and clinical data. Magnomics, Lda was founded in 2013 and, after a first round of investment, was converted to Magnomics, S.A. in 2014. This biotech start-up is focused on delivering the next generation of fully portable in-vitro molecular diagnostic devices. The basis of its novel and proven technology was transferred from INESC-ID and INESC-MN and is based on an on-chip DNA extraction, amplification and magnetic detection. It is a lab, on a chip. Magnomics provides a highly sensitive point-of-care solution for bacterial detection, identification and antibiotic resistance profiling, making use of a small fluid sample or swab. With broad applications in both human and animal health, as well as in food safety and in the military, Magnomics will initially address a key veterinary problem: bovine mastitis, an ailment affecting dairy cows.